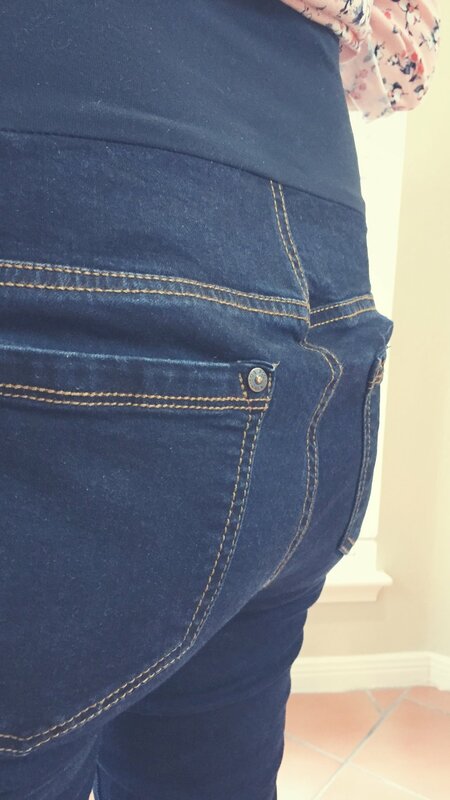 At 5'8", I'm just an inch or so taller than the “average” person so most jeans are not long enough for me. 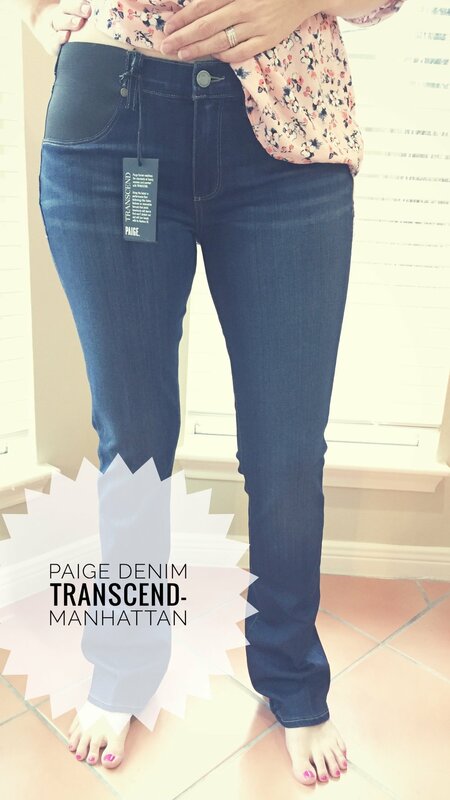 I'm often looking for special jeans that come in long or tall sizes. I don't wear shoes with heels (more on that in another post!) so in most cases, the tall jeans end up being too long. Then it becomes a dilemma of whether or not to have them altered or to roll them every time I wear them. Shopping for maternity jeans is like double the excitement of jeans shopping. There are no stores in my area that specialize in anything remotely maternity related, except for one or two chain stores. They typically offer their products in Small, Medium, or Large. I'm not sure about you, but I don't fit into any of those three categories! 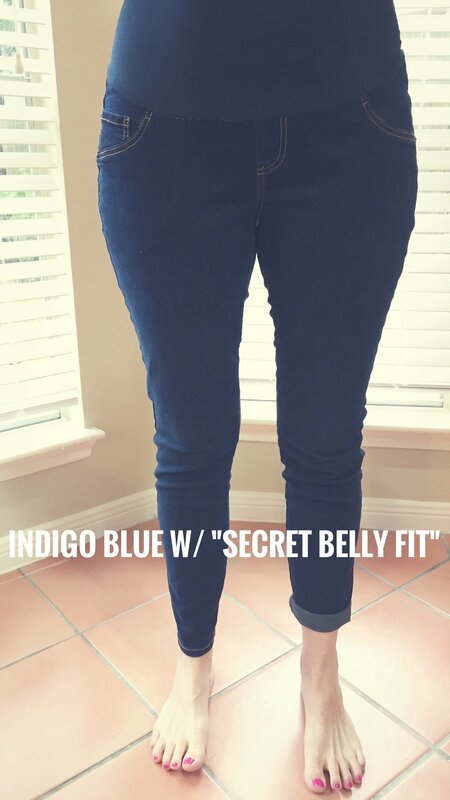 Where could I buy a pair of maternity jeans? 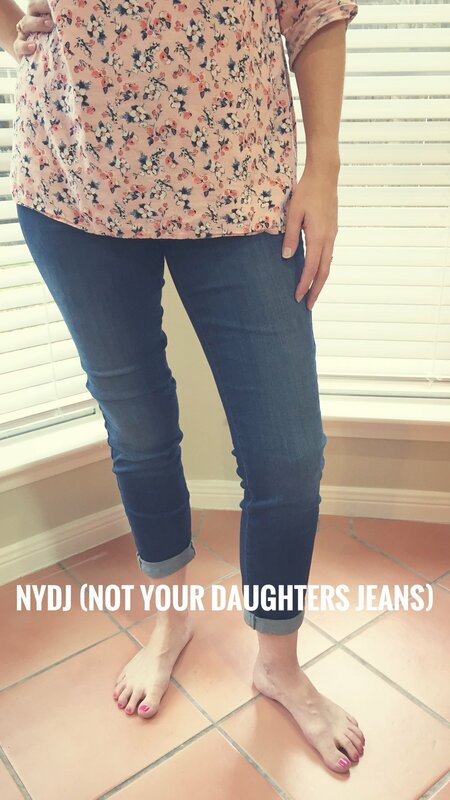 And not just any pair of jeans that I can get over my hips, but a comfortable, form-fitting, not baggy or bunchy, correct length pair of jeans. 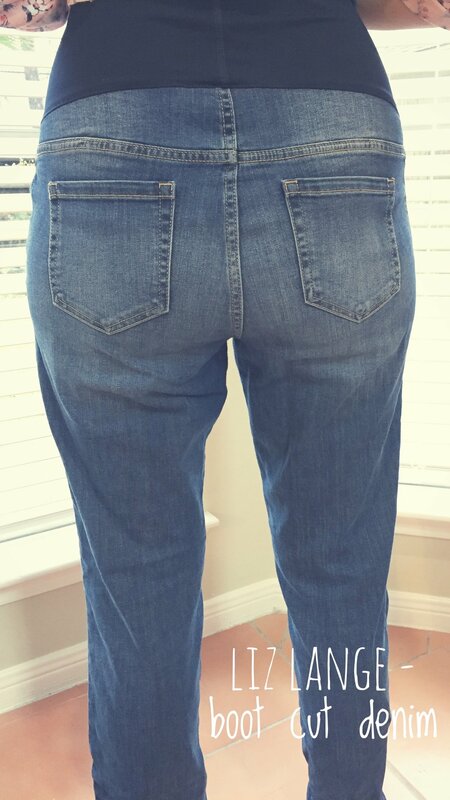 And so, the search to find THE PERFECT PAIR of maternity jeans began!.. These pull-on pants are more like a heavy legging. Because they are a slimmer fit, they're great for wearing with boots. After many washes, they're very soft. 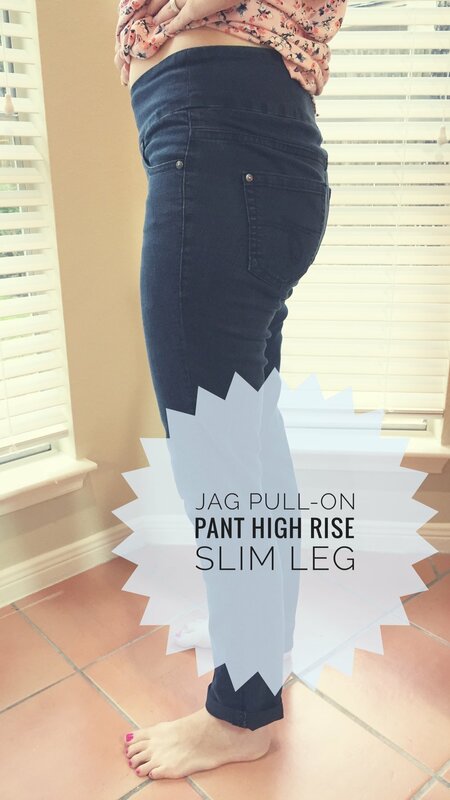 Because these are not maternity specific, the waist is not stretchy. However, the waist band does give a little, allowing extra room for a growing belly. An added plus - there's no button digging into your abdomen! I'm especially grateful to the previous owner who hemmed these pants with hem tape. When I first tried on these pants, my foot couldn't get through the bottom of the pant leg because it was stuck shut. Yes, the hem tape is still sticky enough to stick to itself. Fun! These pants are super soft, but also very loose. I considered these for a late 3rd trimester (yay Texas summer!) pair since the fabric is lighter and there's some room to grow into them. However, the acid wash/distressing on the seat and pocket area makes for a very unflattering look. These pants are snug which I thought would prevent slippage and spare me the awkward hoisting up of the belly band every few minutes. Unfortunately I was wrong. The belly band is not very snug so after sitting/walking/moving/breathing, these pants shimmy down. 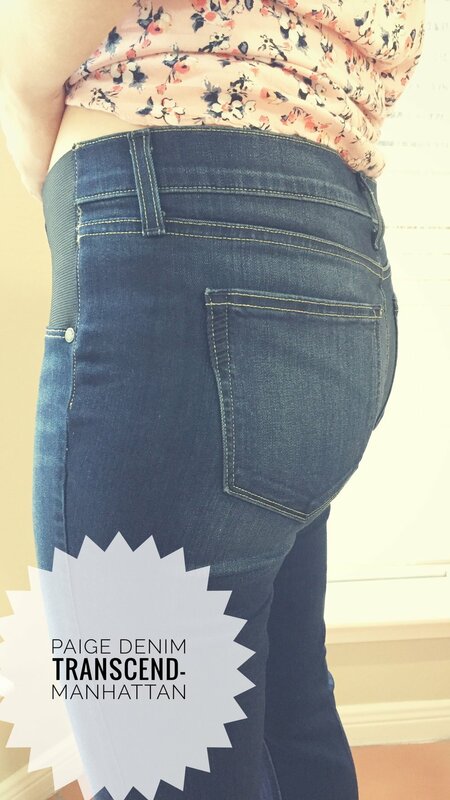 Annnnnd although someone was very kind in giving an extra inch to grow in the behind, the extra fabric puckers and is made worse as the pants start sagging. I thought it might be fun to have a white pair of jeans for the summer which lead to the interest in this pair. I believe the previous owner did some re-constructing of the belly band and possibly removed some elastic. This probably explains the funky holes on the sides. They're just long enough to wear with flip flops. However, the fabric is heavy and stiff, and they're snug in the thighs. When walking, there's not much flex or give so they're not super comfortable. 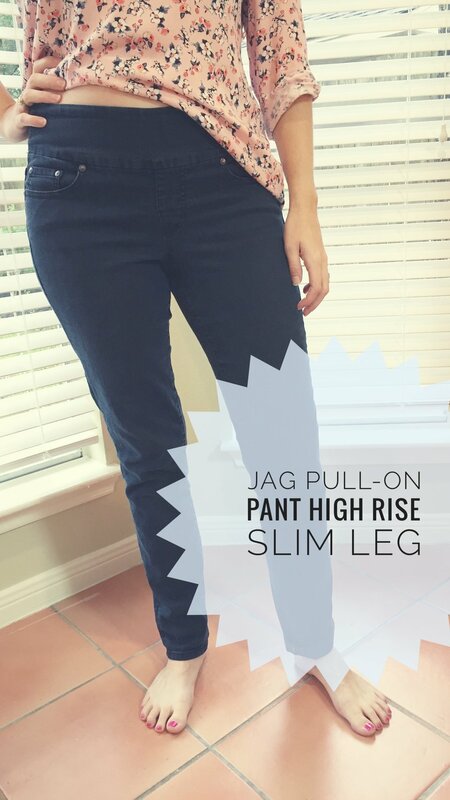 The tag on these jeans touts you will “look a size smaller, feel amazing” and that they will “retain shape without stretching out”. Sounds good. They're snug, soft, and very stretchy. The website says they will stretch with wear and to order one size down. 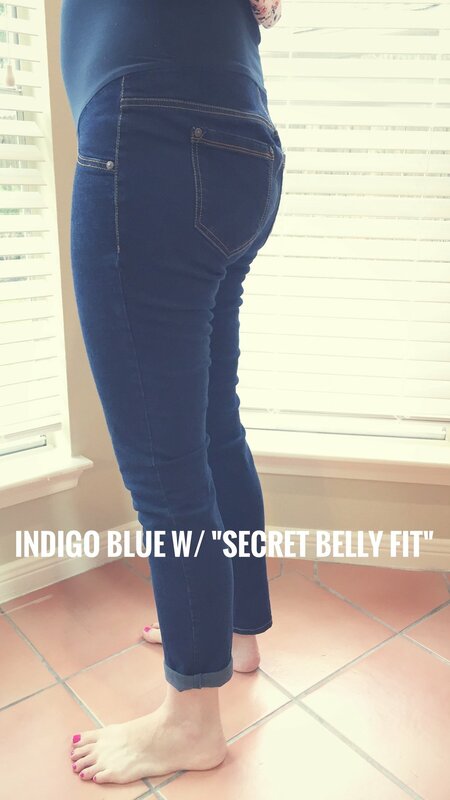 Perfect idea for maternity - pants stretch as your belly stretches! The belly band is snug without digging into the stomach. I like the rolled cuff because there's no issue as to whether or not they're the perfect length. 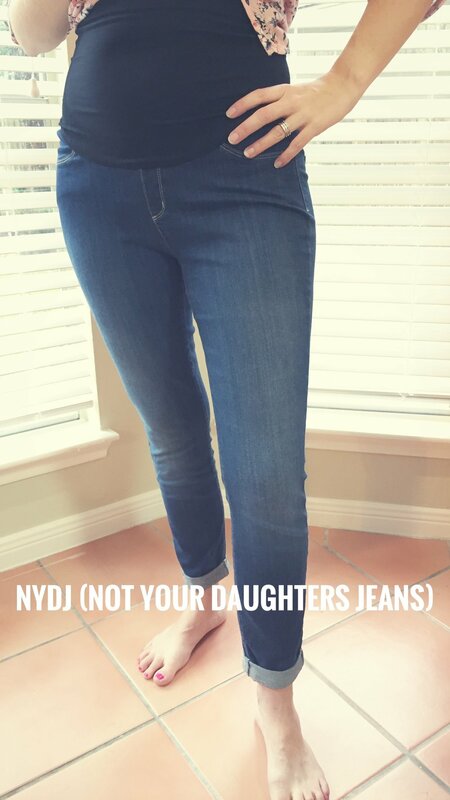 If you truly get what you pay for, then these jeans were destined to be perfect. They are extremely comfortable - I didn't want to take them off! They were a bit long though (to hem or not to hem?) and without a belly band, they shifted when I walked. 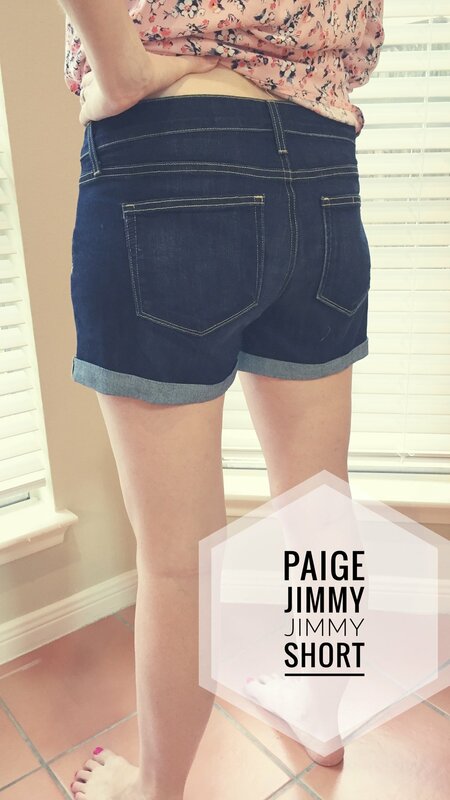 It's very difficult to find cute maternity jean shorts that are not cut-offs and that are longer than your underwear. Seriously! 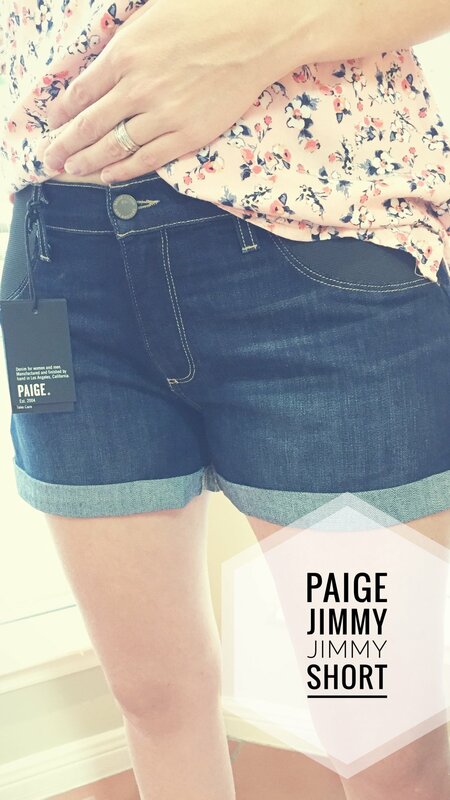 These shorts were really comfy too - Paige Denim has done a good job in that aspect. However, they were too loose and the leg opening was really wide. This was so strange because usually I have the opposite problem with the leg being too tight. 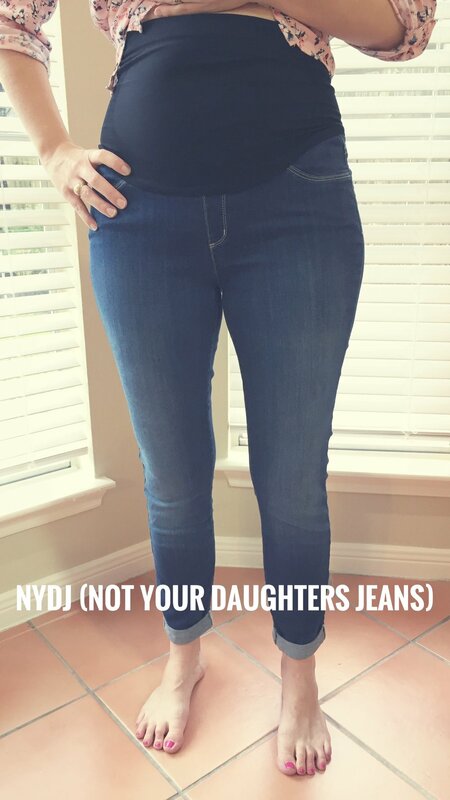 I LOVED these jeans SO much, I didn't want to take them off! Shopping for these was SO easy. I ordered online, got free shipping (not hard to spend $100 with 3 pairs of jeans in your shopping cart! ), AND free returns for the pairs I didn't keep.